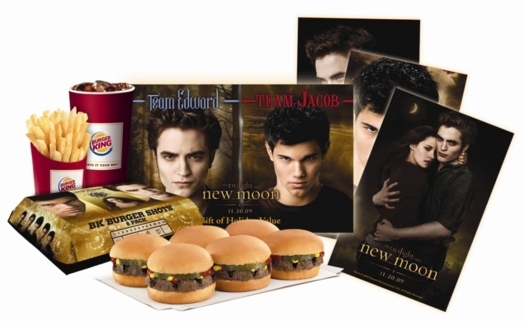 All across the land, people in the form of young girls have been stealing the Twilight promotional posters, featuring the vampire guy and the werewolf kid, from Burger King restaurants. Yes. If you found Twilight to be a well-written, well-crafted series of books, then, YES, I would also expect you to be impressed by the decorations at a fast food restaurant. In addition, my psychic powers tell me that you enjoy shiny objects and good-looking musicians who don’t write their own songs.